Trademarks offer your brands protection from figurative yahoos like this. It’s no secret that the craft beer industry is booming. As of June 30, a record high of 4,656 breweries were operating in the United States, an increase of 917 breweries over the same time period of the previous year. This is likely the highest number of breweries since the 1870s. As the industry has seen healthy growth, it has also seen a significant rise in trademark infringement cases among breweries. Coming up with a clever name for your brewery or beer can prove to be a difficult, yet necessary, task. A trademark identifies the source of the goods or service. In the context of the brewing industry, it may be a word, design, slogan, sound, etc., used to identify a beer, brewery or brand. 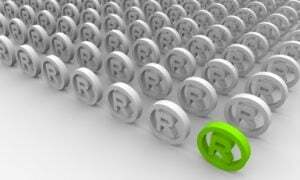 In such a crowded field, it is extremely important for your trademarks to be unique. You may have heard that the mere use of a name, without registration, can establish trademark rights. These types of trademarks are called “common law” marks and certain rights attach to them. These rights, however, are extremely limited as they can only be applied to the geographical area in which the trademark was being used. If you have plans to operate throughout the United States, trademark registration should be high on your list; not only to protect your name, but to make sure nobody else is using it before you invest in developing your brand. By registering your mark, you provide constructive notice to potential users on a national level and a subsequent user cannot assert a good faith use because he or she was unaware of the registered mark. A mark will be considered generic if it simply names the goods or services that are being sold. Such a mark will not be granted registration by the United States Patent & Trademark Office (USPTO). A descriptive mark describes a particular feature of the goods or services and will initially be denied registration unless it has developed secondary meaning. Suggestive marks are a step in the right direction as they require a bit more thought into identifying the source of the goods or services. These types of marks may be registered if they avoid being merely descriptive. The strongest types of trademarks are those that are arbitrary or fanciful. A mark is arbitrary when no relationship exists between the mark and the business. TM is used to create notice that you are claiming your common law rights. It should be used when your mark is not registered or you have an application pending. ® may only be used once you have successfully obtained a federal trademark registration. Intentional use of the registered symbol even though you know your mark is not registered can get you in some trouble. Oftentimes people simply don’t know the difference between the two and think these symbols are interchangeable. If you have come up with a list of names you are considering for your brewery or beer, your first step should be to start with an internet search. There are a number of resources and directories online listing names of breweries and beers within the United States. You may be able to cross off a number of the names through a simple Google search. The USPTO maintains its trademark database online which you can search for free. It’s important to not only look for exact matches, but also similar names that might be used against you. An experienced trademark attorney can come in handy here to help you determine the risks associated with a certain name. After clearing the name through a search, your next step would be to look into trademark protection. Depending on how far along you are in the brewing process, you have a couple of options here. If you come up with a unique name, but you have yet to create the actual beer or open the brewery for it, you can still file a trademark application to protect the name. This type of application is called an “intent-to-use” trademark application. You would have to renew every 6 months (for a maximum of 30 months), but it’ll give you a head start on the process. Once you open your doors or start selling the beer under that name, you can convert this to “in-use” and you will eventually receive a registration (assuming there are no issues with your application). Such a strategy is used to reserve a name you like. If you end up not going with that name, you can abandon that application. If you have already been using your name “in commerce,” then you would go ahead and file an “in use” application from the beginning instead of an intent-to-use application. Do you know what trade dress is? And why it’s an important trademark opportunity for brewers? Once you submit your trademark application, the waiting game begins. An application will typically be assigned to a Trademark Examiner approximately three months after your filing date. From there, it’ll likely take another month or so until the Examiner reviews it and gets back to you either accepting or rejecting your application. There are a variety of reasons the Examiner might reject your application, but all’s not lost if that’s the case. You have a chance to respond to these refusals to try and convince the Examiner to allow the application to continue. Having an experienced trademark attorney on board to help you navigate the process and respond to potential office actions from the USPTO may increase your chances of approval. One of the most common rejections you may receive is for the likelihood of confusion with another registered or pending mark. A thorough search reduces the chances of this occurring, but it may happen nonetheless. If you receive an office action, you have 6 months to respond to it with arguments on why your application should be allowed. If the Examiner approves your application, it will continue on to a publication period and publish in the Official Gazette for 30 days. During that time, anybody who feels your mark would damage their own mark may file an opposition to your application. This opposition would have to include reasons they feel it would be damaging to their trademark if your mark was allowed to register. If there was no opposition during the designated publication period, or if you manage to overcome it, your application would continue on and receive a Notice of Allowance, followed by a registration certificate. Once registered, you can begin using the ® symbol when identifying your brand. Once you receive a registration, it is important to protect your mark. Keep an eye out for anybody who is using your mark in commerce and seek proper guidance from a qualified attorney to determine what your next steps should be. Anastasios G. Garbis is a registered patent attorney with Garbis Law, LLC. Contact him at (312) 952-3085 or [email protected]. This guide is for informational purposes and not intended to be legal advice. Please contact a qualified attorney if you have any questions. Taso Garbis liked this on Facebook.